Chaetopterus marine worm (Chaetopterus cautus). 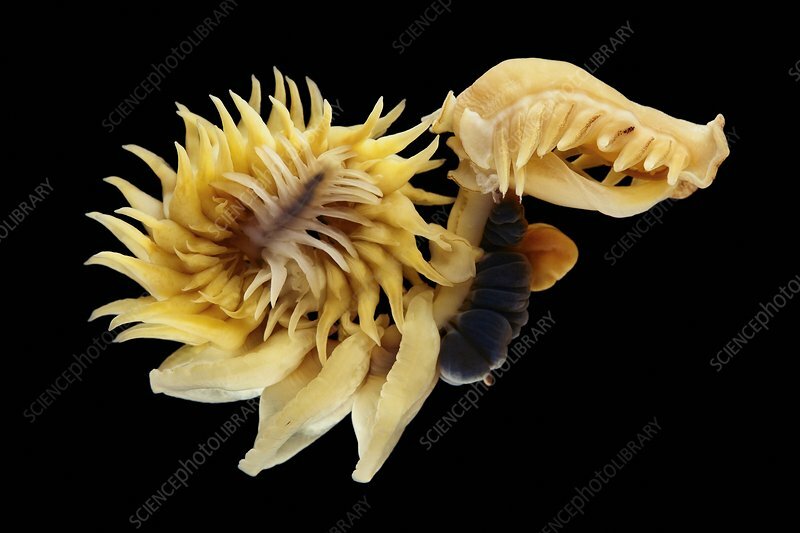 This species is a polychaete marine worm, also known as bristle worms. Photographed in the Sea of Japan.